Download "ICH Q8, Q9 and Q10. 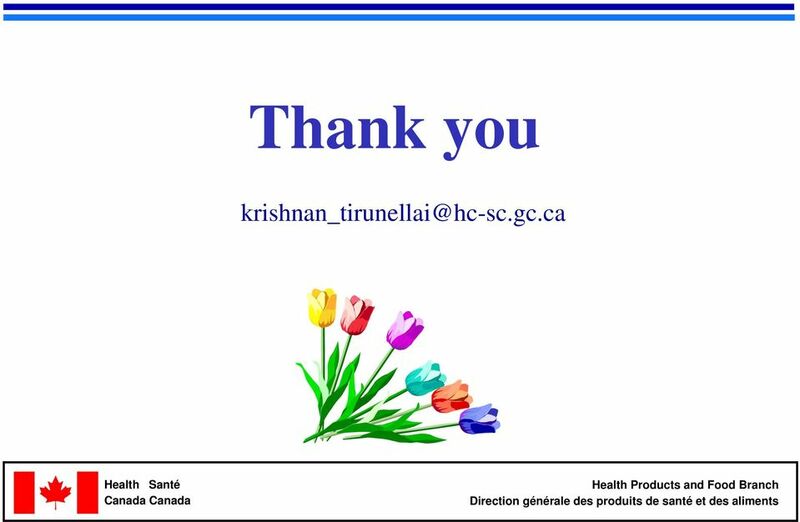 Krishnan R. Tirunellai, Ph. 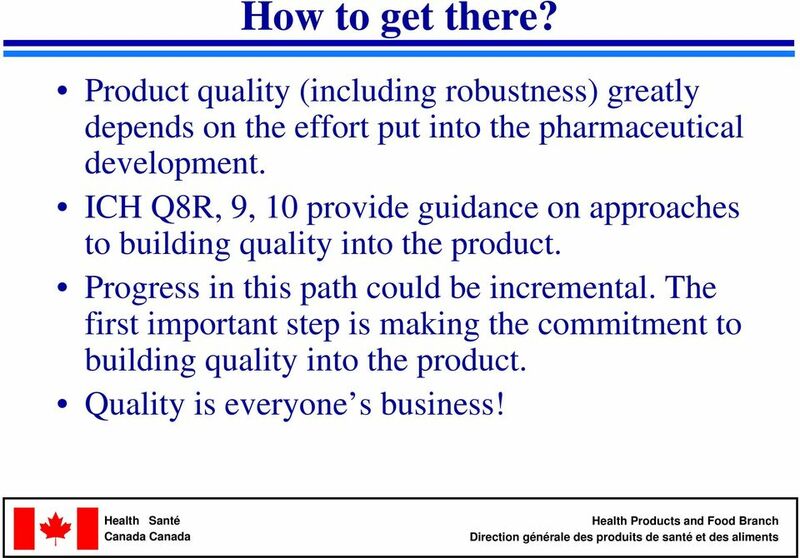 D. Bureau of Pharmaceutical Sciences Therapeutic Products Directorate Health Canada December 4, 2008"
2 Sequence Continuous improvement in product quality by controlling variability. 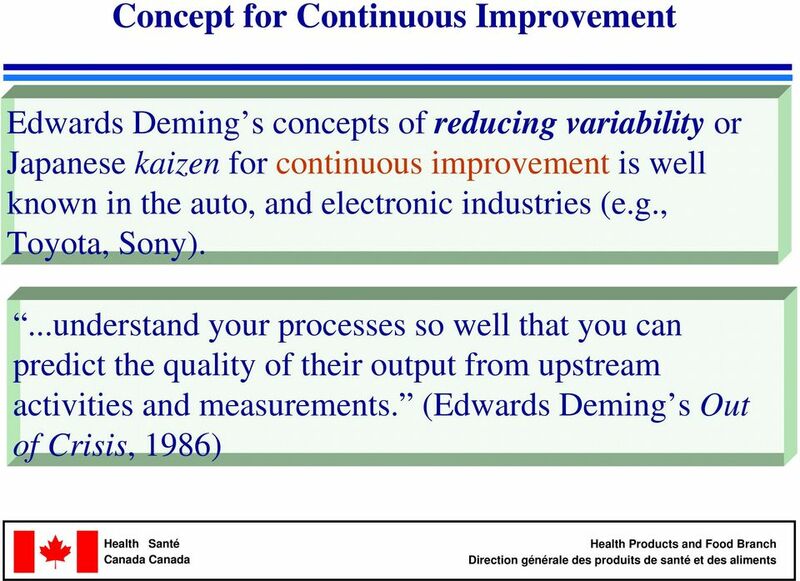 Controlling variability through a robust process. 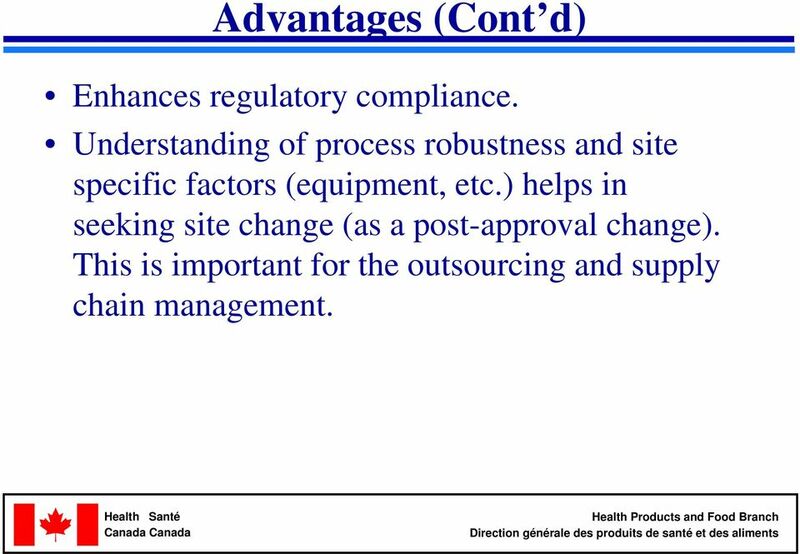 Understanding of a robust process for changing a manufacturing site. 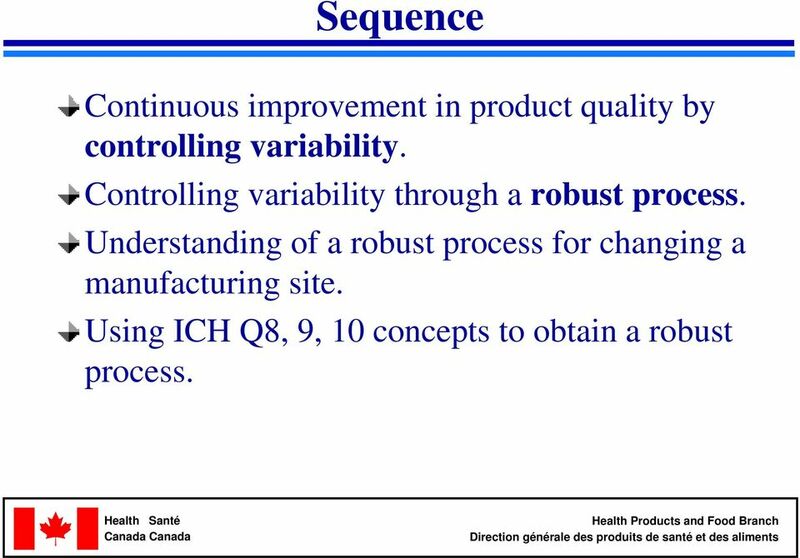 Using ICH Q8, 9, 10 concepts to obtain a robust process. 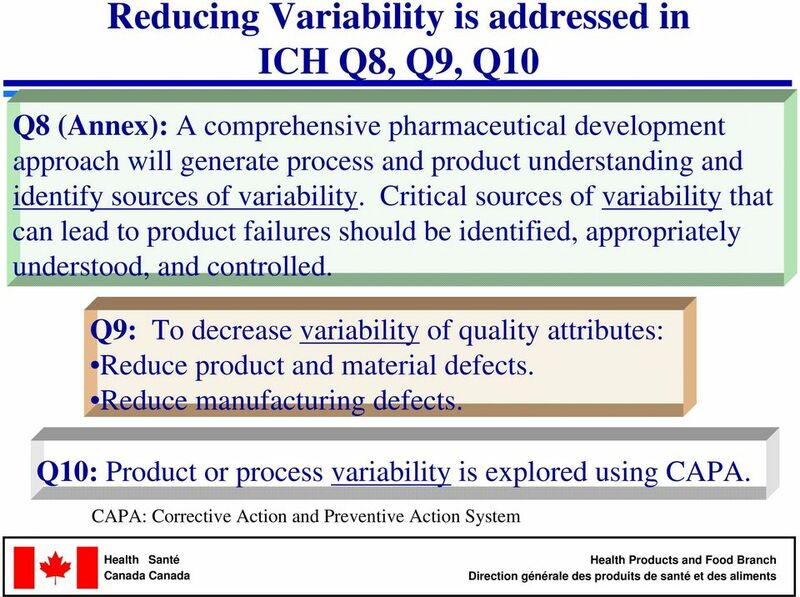 5 Robust Process the Key to Reduce/Manage Variability Process Robustness: Ability of a process to tolerate variability of materials, and changes in the process and equipment, without negative impact on quality. 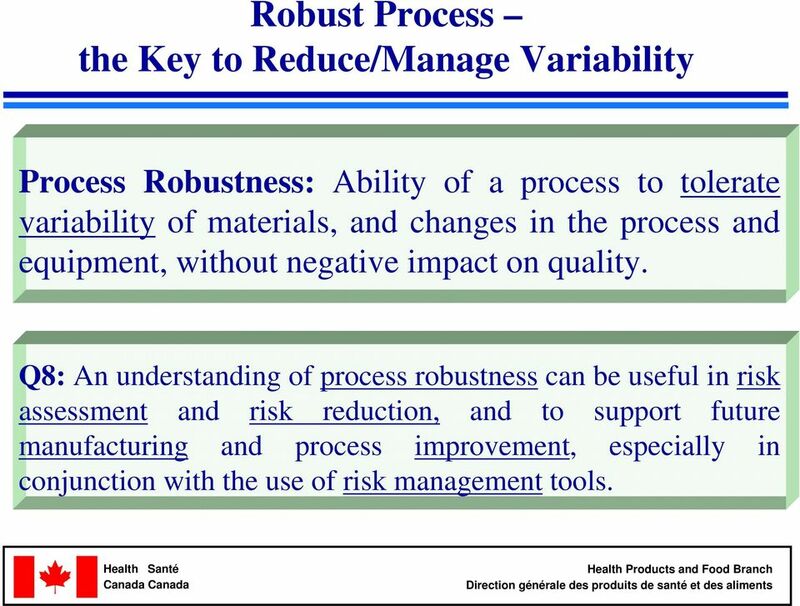 Q8: An understanding of process robustness can be useful in risk assessment and risk reduction, and to support future manufacturing and process improvement, especially in conjunction with the use of risk management tools. 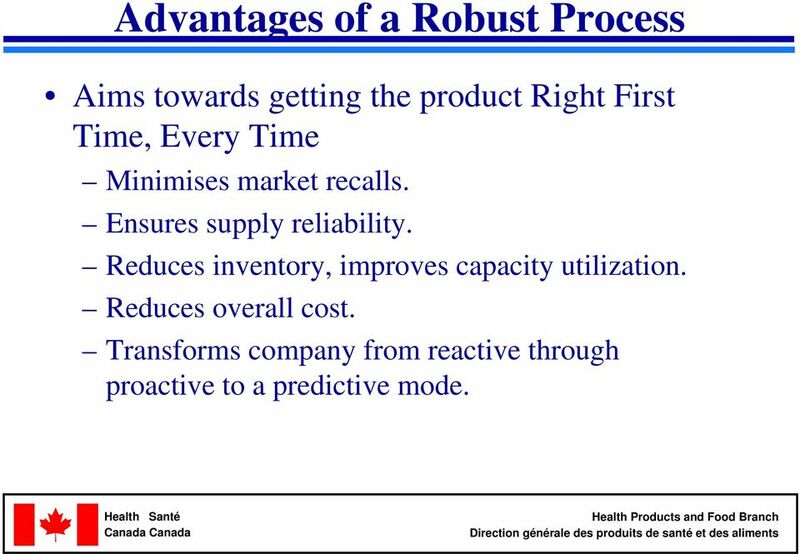 6 Advantages of a Robust Process Aims towards getting the product Right First Time, Every Time Minimises market recalls. Ensures supply reliability. Reduces inventory, improves capacity utilization. Reduces overall cost. Transforms company from reactive through proactive to a predictive mode. 7 Advantages (Cont d) Enhances regulatory compliance. Understanding of process robustness and site specific factors (equipment, etc.) helps in seeking site change (as a post-approval change). This is important for the outsourcing and supply chain management. 8 How to get there? Product quality (including robustness) greatly depends on the effort put into the pharmaceutical development. 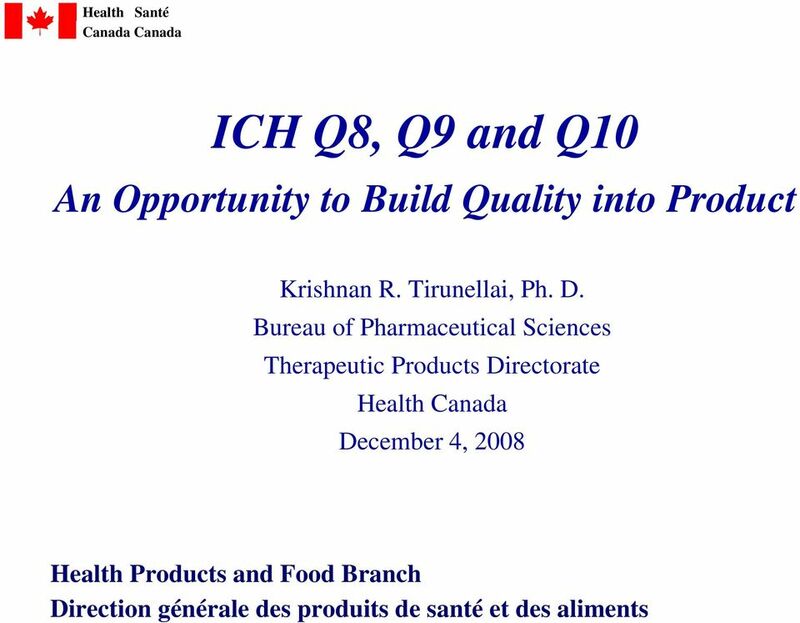 ICH Q8R, 9, 10 provide guidance on approaches to building quality into the product. Progress in this path could be incremental. The first important step is making the commitment to building quality into the product. Quality is everyone s business! PRIORITIES OF SUSTAINABLE SOIL MANAGEMENT IN BENIN. Prof. IGUE A. M.
GREDOR Gestion des Réseaux Electriques de Distribution Ouverts aux Renouvelables Can operational planning decrease distribution costs? - La gestion prévisionnelle pour diminuer les coûts de distribution? Gestion des données des occupations et compositions des trains au sein de la SNCB Mobility. Ficep Group Company MANAGEMENT SOFTWARE FOR STEEL CONSTRUCTION KEEP ADVANCING " Reach your expectations " ABOUT US For 25 years, Steel Projects has developed software for the steel fabrication industry. Tier 1 / Tier 2 relations: Are the roles changing?